Upcoming Events and Announcements – Follow links below to volunteer. For information on additional local engineering activities in our region please see our Education page and our Events Calendar. The Puget Sound Engineering Council (PSEC) is seeking additional Mentor Night Volunteer Coordinators for our annual Mentor Nights program either as a back-up or as a future coordinator for an event that you would like to support. Our current Mentor Night Coordinators are Paul Grant, Luis Leon, and Harry Ehlers who help support mentor event requests from multiple Universities and Colleges in our region. The primary role of a Mentor Coordinator is to be a point contact for the volunteers from the multiple local engineering societies. This role is not limited to member societies current officers or to a representative to PSEC but anyone who has enjoyed volunteering at the multi-society Mentor Nights. This is an opportunity for one (or more) events in the year – primarily conducted by email. We have documented guidelines, tools, and support for you to help with these instructional and successful events. This is an opportunity to support our local Universities and Colleges and the mentoring events we help to organize. Please contact the PSEC President at president@pseconline.org if you are interested and would like to learn more. The purpose of PSEC Mentor Nights hosted at participating colleges and universities is to give engineering students (freshmen through seniors, & occasionally high school students) an opportunity to ask questions in person from a variety of practicing engineers, engineering alumni, and faculty about the wide spectrum of engineering disciplines, professions, career pathways, continuing education post-graduation, professional registration considerations, responsibilities, and ethics over food and refreshments. 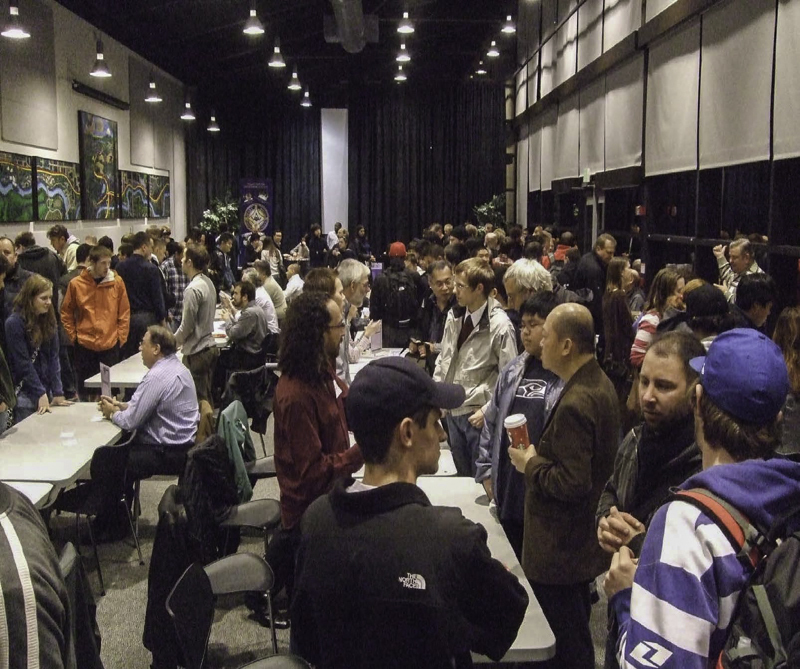 PSEC co-sponsors and/or co-organizes Mentor Night events with participating universities and colleges locally by seeking volunteers to support their event. 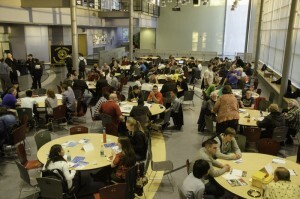 All or a portion of the event at the college includes mentor tables identified by the mentor volunteer’s name, engineering discipline and/or profession. Mentors usually bring some physical examples of their work or something to help focus the student’s attention and discussions. They may also have a presentation or engineering drawings to show, a paper handout to give the students, information about their company internships, societies events and/or scholarship information. Examples of exemplary printed handouts created by two different Mentor volunteers can be found here: Civil Engineering, Industrial Engineering. Depending on the event planned, the participation can range from 10 to 50 volunteer Mentors, with 20 to 150 students attending. Mentors are comprised of practicing engineers from a wide spectrum of disciplines and industries for discussions in a “speed date” format with college and sometimes high school students. The goal is to have no more than five students are talking to a single Mentor at once, which on a busy night becomes almost a mini-presentation, with some individual questions being answered. Past mentor nights have had students rotate between mentor to mentor freely or have designated someone to prompt rotations every fifteen minutes over the course of two hours. There are no expectations to have an ongoing or follow-up mentoring relationship with any student unless both parties desire it. 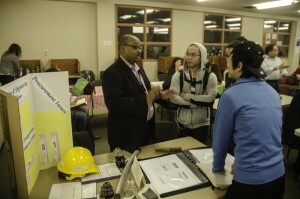 The events are coordinated between a representative from the college and a PSEC Mentor Night Volunteer Coordinator. The college organizes the room reservation, food, AV, signage, parking, and coordinates student attendance, and may also coordinate Mentor volunteers through their dean, faculty, alumni, and/or other external organizations that support the college’s efforts like PSEC. The PSEC Coordinator works with the college to determine the date, time & location of their event. They determine how many students are forecasted to attend, the number of Mentors needed, and which engineering disciplines are requested to best support a given event. The PSEC Mentor Night Coordinators work with the college to invite volunteers from last years event, and they send new volunteer requests to the PSEC member socities representatives to share the volunteer request with their memberships as applicable. PSEC Mentor Coordinators work with the college to help configure an online Mentor volunteer registration, and the event is displayed on the PSEC website and social media with the links to the volunteer registration included. Shoreline Mentor Night for February 6th, 2019 has been postponed February 6, 2019 The College is closed due to the weather so we are cancelling the Mentor Night scheduled for tonight. We will work with Shoreline College to reschedule for some time in March or April. Sorry for the inconvenience. Shoreline College Mentor Night March 17, 2018 Our friends at Shoreline Community College have announced their engineering Mentor Night will be held on April 25th at 5:30 to 8:00. If you would like to spend some time answering questions for some engineering students please consider registering on their eventbrite registration page. Seattle Central College Mentor Night, January 25th January 11, 2018 The Puget Sound Engineering Council (PSEC) together with Seattle Central College (SCC) will be holding its Mentor Night on Thursday, January 25th, 2018 from 6:00 – 8:00pm. Please sign-up soon to get an accurate count of mentors. Seattle Central College Mentor Night Volunteers Needed November 22, 2017 Seattle Central College Mentor Night is January 25th. Please consider volunteering as a mentor or, if you are a student, signing up as a participant.